Shirrie Serrioz can easily be spotted in Dallas-Fort Worth International Airport (DFW) Terminal B wearing her sharp-looking outfits and beaming her thousand-watt smile, Walkie-Talkie always in hand. 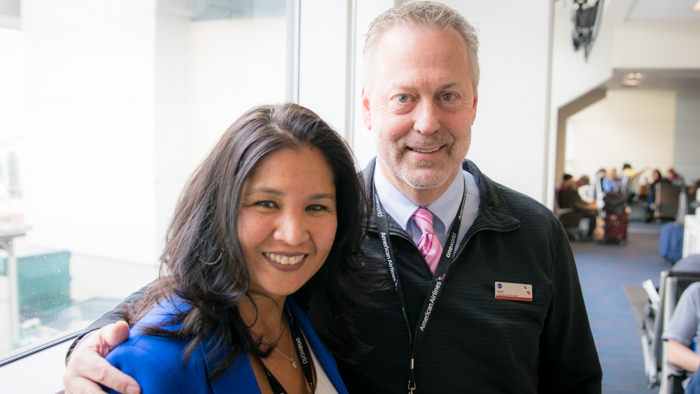 As a shift manager for Passenger Services, she’s often passing along that positive energy to her agents at the gate, leaving behind a wake of cheer and laughter. Seeing Shirrie’s vigor and obvious love for her job after 25 years with Envoy, it’s hard to believe her entire career was almost derailed 20 years ago in Corpus Christi, Texas. After divorcing her husband and falling into a financial tar pit, all was lost and her work performance suffered as a result of her personal troubles. However hard and discouraging her life seemed at that moment, it was met with her persistence not to give up. She was also given a second chance to turn things around by her boss at the time, Frank Watts, who inspires her as a manager to this day. 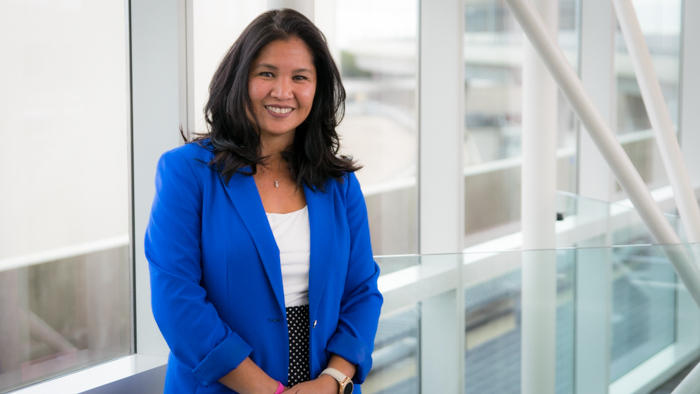 In a letter addressed to Envoy President & CEO Pedro Fábregas, Shirrie thanked Pedro for his inspiration as a leader and recounted her story working for Envoy over the years. One of the most remarkable details of the letter was how her Envoy Family and Frank pulled together to take time out of their busy lives to support Shirrie in any way they could. Because of her new lease on life, Shirrie became ultra-motivated to advance her career. In order to do so, she would have to make the toughest decision of her life — let her son move in with his father so she could move to Dallas and focus on building a new future. For six years, Shirrie worked to earn every promotion she could, and eventually her son returned home to her at twelve years old. He is now studying at the University of North Texas, Shirrie remarried, and is enjoying every second at DFW. Shirrie says that she feels truly blessed and wants to pay her fortune forward to help those who may need the same second chance she was once given. That kind of support and encouragement is something families do for one another, something that is quintessentially Envoy. Shirrie says that she’s been with the company for 25 years because it feels like family. Along with that support net, Shirrie credits Envoy’s career advancement as one of the biggest draws to join the company. From her own experience, Shirrie says that maintaining a positive attitude and caring about the success of the company can get you noticed, especially in a smaller company where your achievements are constantly on display. Like the best salesperson on the showroom floor, Shirrie sells the Envoy culture like no other. Some of that zest for life comes from her competitive nature to win and, most importantly, improve on her own goals. Whether it’s on the golf course – she has a very respectable handicap of 16 – or at DFW trying to meet their operational goals, Shirrie is always trying to be her best. That relentless drive is what has gotten her this far since her second-chance in Corpus Christi.